You are here: Home / Win! / Win 1 of 6 OTi 2016 Organisers for Mum! 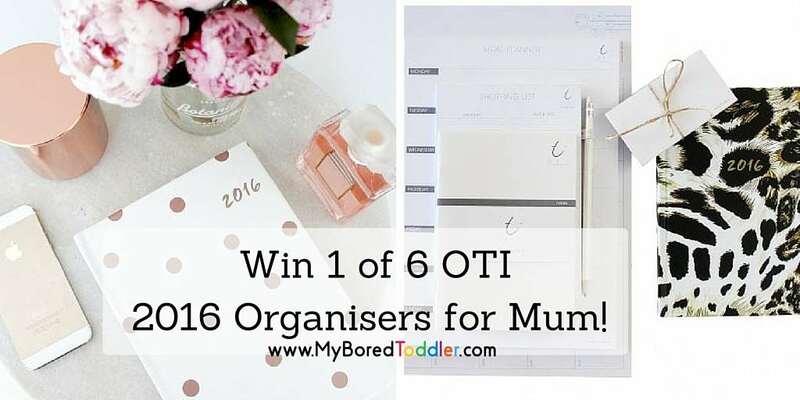 Win 1 of 6 OTi 2016 Organisers for Mum! For Mother’s Day, why not win something for yourself. The lovely people at OTi have 6 2016 Organisers to giveaway to some of our lucky Australian readers. The OTi organiser has been designed for the modern woman whose lifestyle involves juggling obligations along with achieving personal goals. We’re offering 6 x 2016 Diaries valued at $32.99 each. Also, all diaries include a removable contact booklet, refillable shopping list, pen loop and pen, pocket for loose papers. You can find out more about OTI on their website or Facebook page. To win please tell us in 25 words or less why you would like to be more organized and enter below. I am terribly unorganised…I’ve actually not shown up for things that I’m scheduled for. I would love to have a bit of organisation in my life! I need to be more organised so I have enough time for other things rather than spending my time looking for something. I’m usually not as organised as I’d like to be – there’s always do much to do and remember! This would be great! I do things all over the place, I really need to get more organised being a mum of 3 and wanting to get back to work! I really need to get more organised to help me keep track of all my appointments, due dates for uni and school activities for my children. I need to be more organized, I’m always forgetting things Im ment to do. If I Dont write it down, I definitely forget! I write everything down on any piece of paper I can find. There is small piece of paper all around the house and I can’t never find what I need. I used to be nicknamed Miss Organisation, but that title has now lapsed. I need motivation and help! I would like to be more organised because if I try to send my kids to school on a day off again, they are going to disown me! I’m about to return to work from maternity leave, organisation will be essential to ensure my work life balance. The more organised I can be, the more productive I can be. 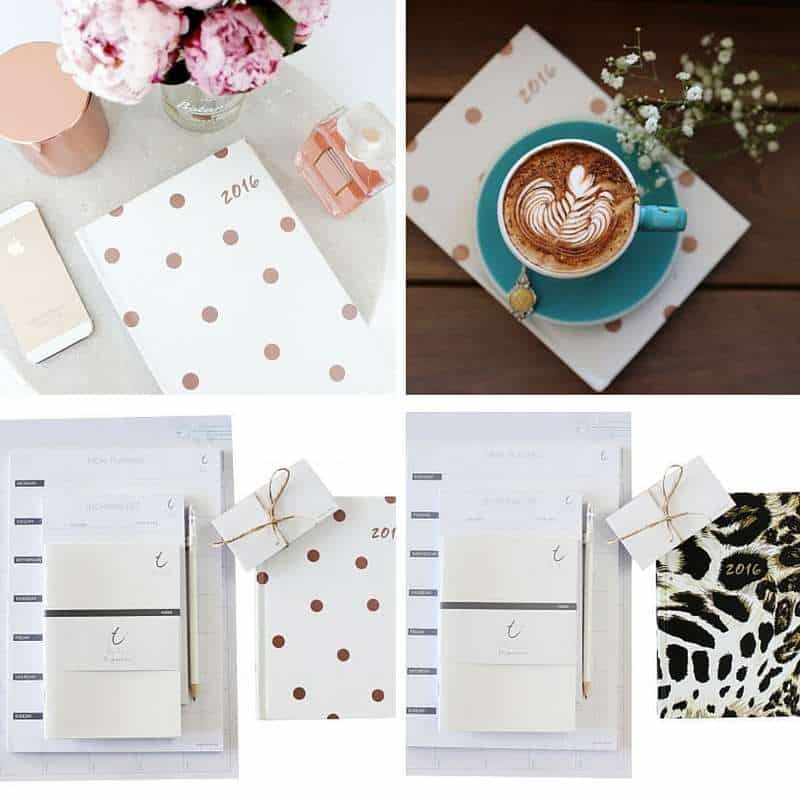 It feels good to get things done, and with a gorgeous OTI organiser design, I can be stylish at the same time. So I don’t waste as much time during the day trying to remember what I need to do or buy! I am so unorganised I never get anything done! I think being more organised equals less stress. And I think all mums could do with that. Since having children, my memory is shot. I go to the grocery store to buy milk, and come home with lettuce, biscuits and coffee. To keep a weekly routine and planner in place will have me more time for my self. I love using “old school” ways of keeping organized. While all my friends use their smart phones I am the one pulling out my diary to write down important dates and to do lists. Can’t get much better than pen and paper, at least you know you wont lose the info when you break your phone. My lists in my head need to become lists on paper. An organiser would be really helpful to organise my day, week etc. Everything flows better when I’m organised, I really need to work on this! so winning will keep me one step ahead of the game. Stressing about things to do every day! Or I’ll start to feel blue.